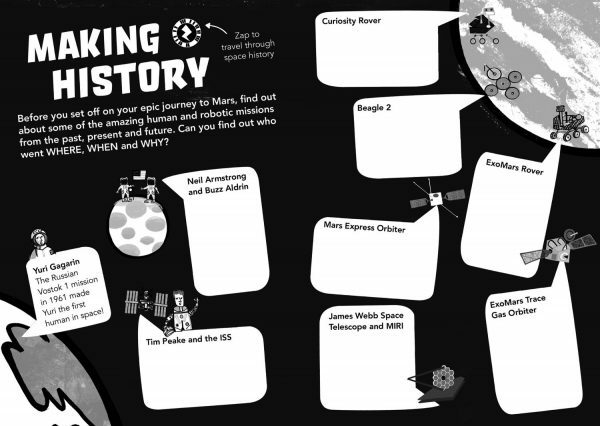 This activity focuses on the history of space exploration, both human and robotic, and allows students to understand the progress made in terms of space travel over the past 70 years. Want to download these great resources for free? Sign up now to access the complete Mars Diary programme including activities, teaching notes, curriculum guides, videos and additional content. Registration takes 30 seconds. We only ask you to register so that we can keep you up-to-date about programme news and tell our funders – the UK Space Agency – how many people are using these resources. The only instance in which we would share your information is with our mailing house to fulfill delivery of books. Otherwise, we do not share your information with anyone. 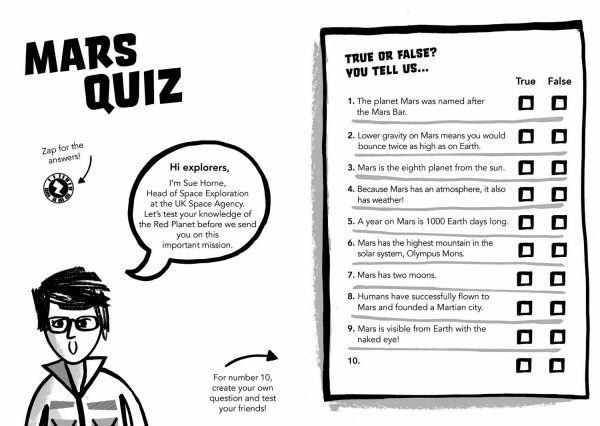 An interactive and entertaining way to find out more about Mars, for students and teachers. 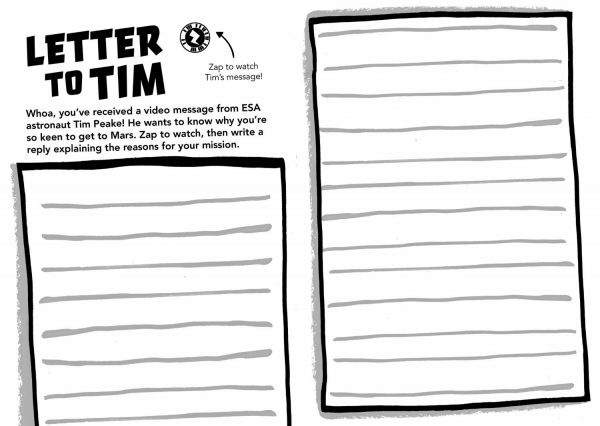 ESA Astronaut Tim Peake wants to know the benefits of your mission to Mars.